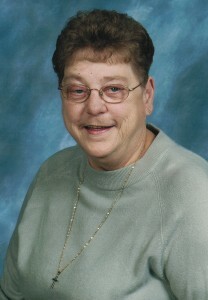 Judith G. Schwitzer Trask, 70, of the Rouse Manor, Youngsville, PA. passed away Friday, November 25, 2011 at St. Vincent Health Care Center, Erie, Pa. after an extended illness. She was born in Punxsutawney, PA. on January 30, 1941 to the late Charles L. and Edna Spindler Schwitzer. Judy moved to Warren in 1952 with her family. She was a graduate of Warren High School Class of 1959. She was employed at the former New Process Company for 24 years where she was a supervisor in the mailing dept. Judy most enjoyed being at home, providing special meals for her family, crocheting, sewing, reading and working on puzzles. She was a blue ribbon winner for her French bread at the California State Fair. Prior to her illness, she enjoyed volunteering at First Lutheran Church’s senior fellowship, TAP program, and helping in the kitchen for banquets and special dinners. She is survived by 2 daughters, Anneliese Marie Bailey and her partner, Curt Haight of Youngsville, PA., and Andrea Michelle Trask and her partner, Ronald Bartlett of Warren, PA., three sisters, Vonda Lee Hedges and husband, Dennis of Warren, PA., Carol Lynn Schwitzer of Altoona, PA., and Neva Dawn Rambish and husband, Larry of Warren, PA., three grandchildren – Leslie, Danielle and Julia Bailey all of Youngsville, PA., 1 great grandson, Carson Rutherford, all of whom she took great pride in and adored with all her heart, several nieces and nephews also survive. In addition to her parents, she was preceded in death by grandparents, and 1 brother, Vaughn at birth. Friends may call at the Donald E. Lewis Funeral Home, Inc., 304 East Street, Warren, PA. on Monday from 2 to 4 and 6 to 8 P.M.
Neva, Annaliese & Andrea, It is with sadness, I express my deepest sympathy for the passing of your sister/mother, Judy. May the grief and sadness you feel now, over time, be replaced with only fondest memories of her. God Bless your families and help you through this sorrowful time. We try to keep up with neighbors – via the internet paper – how sad we were to read of Judy’s passing. We have so many wonderful memories of our times at St. John’s and our times in the choir. May you all find peace and comfort with all the memories and good times shared. Please know that you and your family are in my prayers, during this time of sorrow. I was sorry to read about Judy”s passing. I attended warren high and graduated with her in 1959. I am certain she lead a wonderful life. please accept my sympathies. my thoughts and prayers. God Bless! !